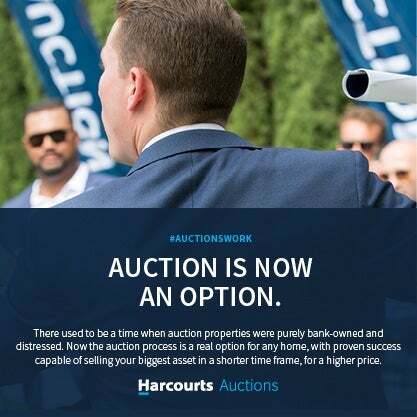 Why Sell Your Property Using Auction? 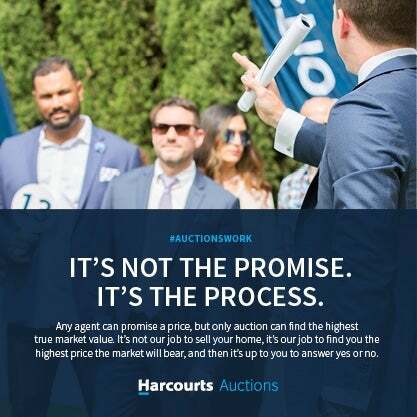 At Harcourts Auctions, we are dedicated to ensuring you achieve the highest value possible. Our auction process means potential buyers don't have a list price; all they know is your beautiful property is for sale and will be sold on a particular date. Auctions shift the buyers' focus from price to value. Without knowing the price, potential buyers can focus on what the property itself has to offer. We don't get paid until we sell your property, and we don't sell your property until we reach an amount you like. The auction process allows you to set your own date and a timeline. No waiting around, guessing when your property will sell-or not sell. We conduct auctions with a reserve price. We don't believe in underselling, and we believe the sale of your property is your decision. We allow you to accept any offer prior to auction day. In other words, you choose the minimum price. If bidding doesn't reach your minimum, you're under no obligation to sell. An auction sale is always a clean, simple, and non-contingent contract. The buyer must complete all due diligence before auction day. When auction day comes, you know who is bidding and for how much. Sometimes auctions don't result in a sale before auction or on auction day. This doesn't mean your property or the process has failed. Instead, it means you know exactly how much buyers are willing to pay. Your property's reputation remains intact because you haven't advertised your list price. It's a win-win situation. We don't stop working until your property is sold. We're with you every step of the way. Don't gamble with the sale of your property. 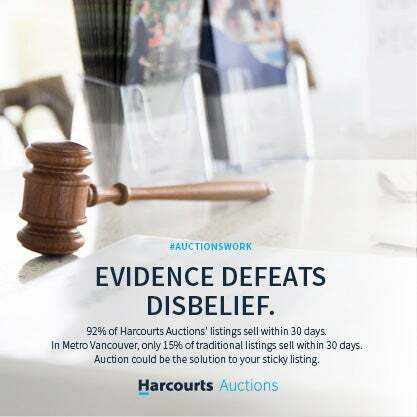 Rethink real estate and get in touch to learn about auction.